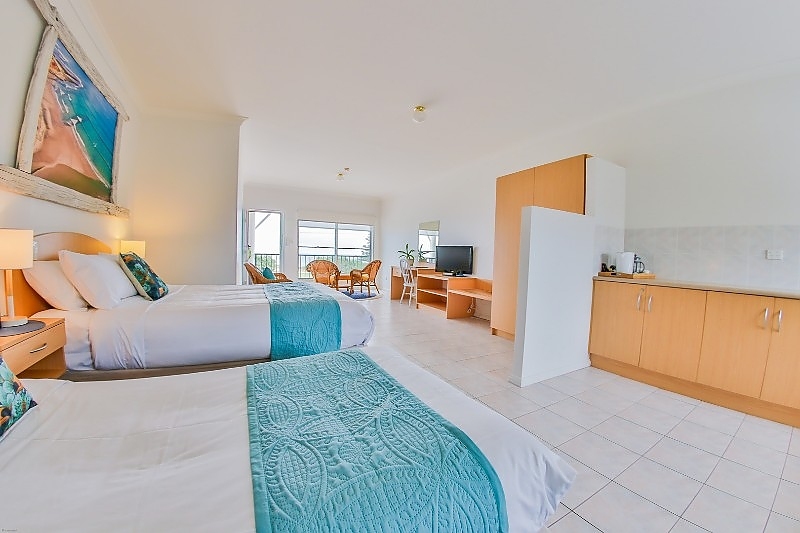 GROUND FLOOR: BEACHFRONT Recently refurbished with new pillow top mattresses and beautiful soft furnishings, our 2 Bedroom Family Apartment is located on the ground floor, offering a spacious open-plan living area with kitchen with cooking facilities, dining and study area. 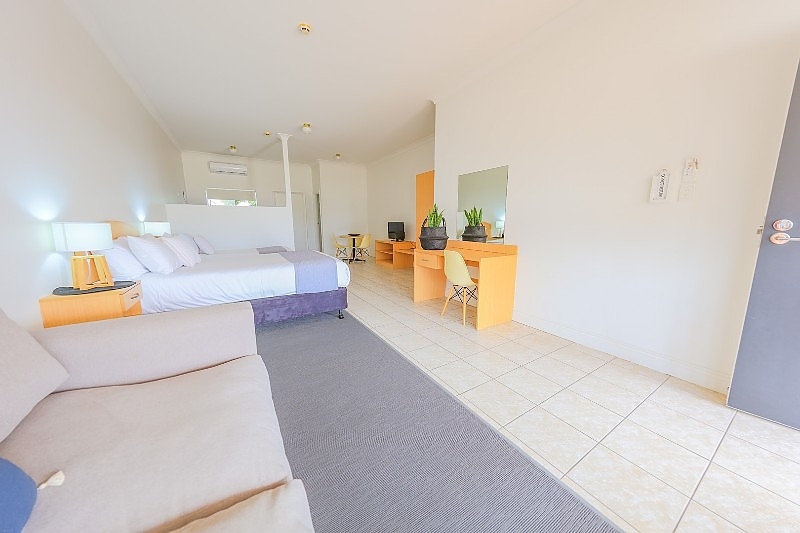 The apartment contains 1 private bedroom with a queen bed, offering a further double bed and single bed in the main living area sleeping a maximum of 5 guests within the 3 beds. 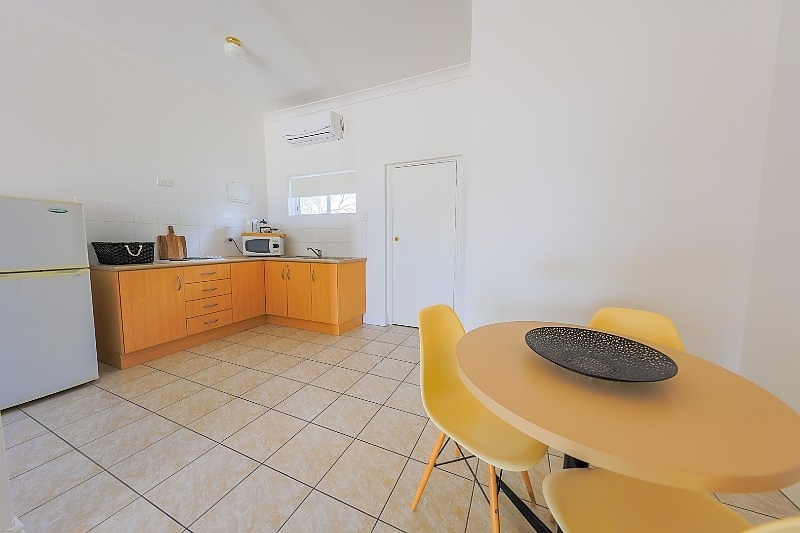 This apartment is perfect for families or traveling work colleagues who need a little extra privacy. 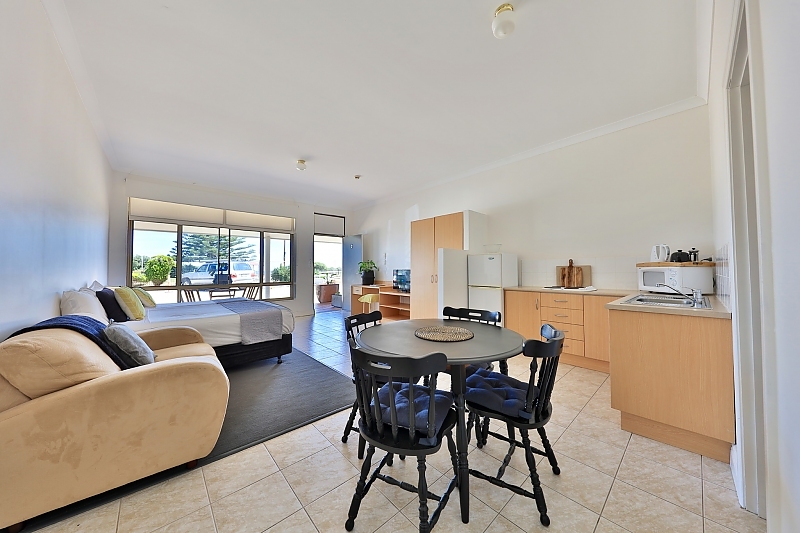 Reception operates 8.30am - 5.30pm 7 days per week. 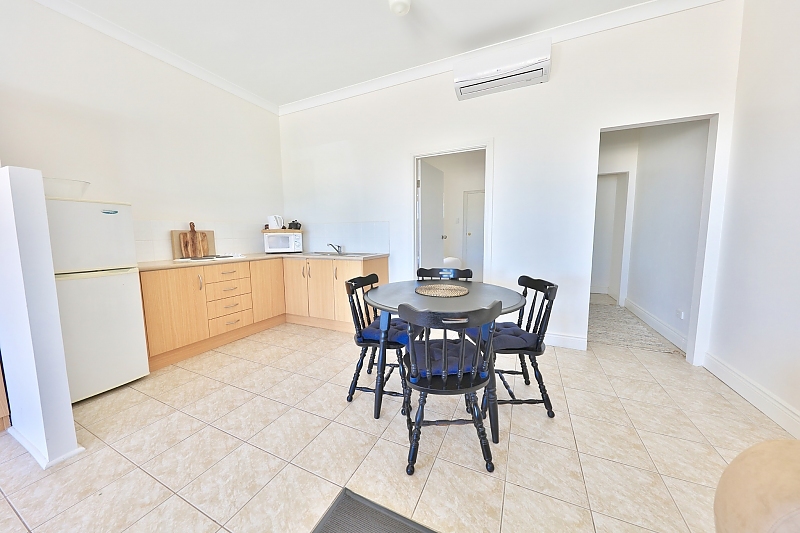 After this time all calls are diverted to the after hours manager on site however no face to face Reception is open. 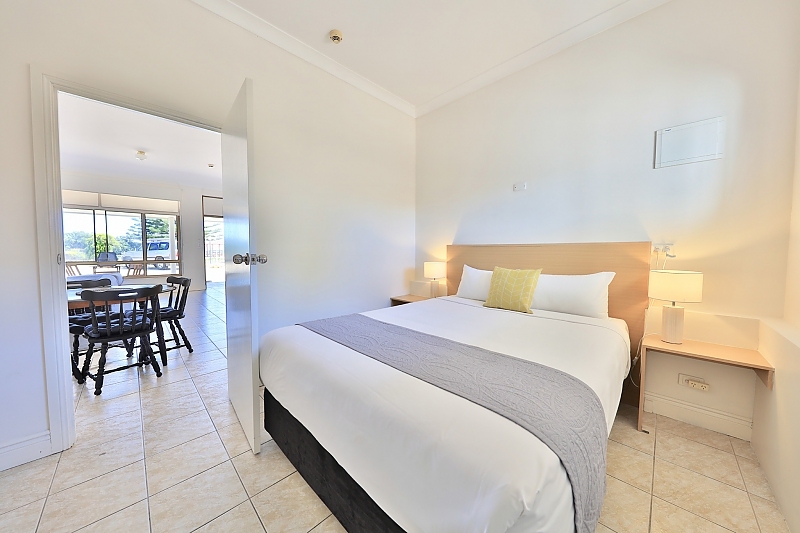 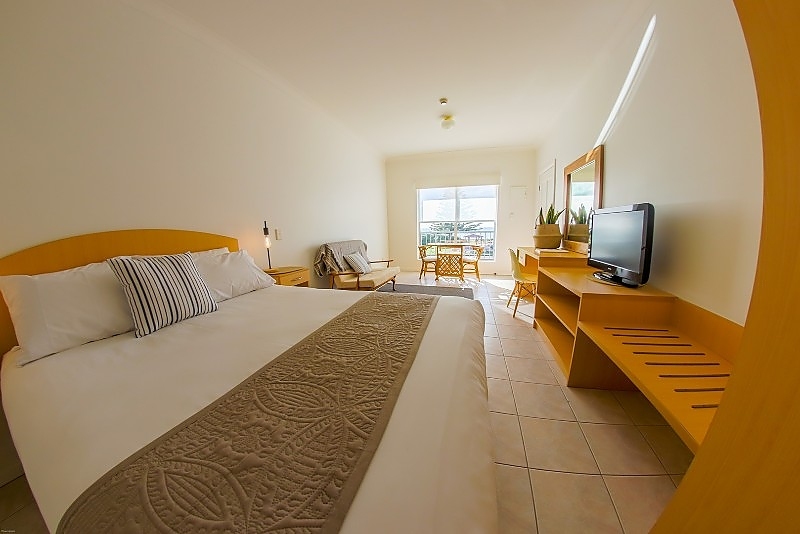 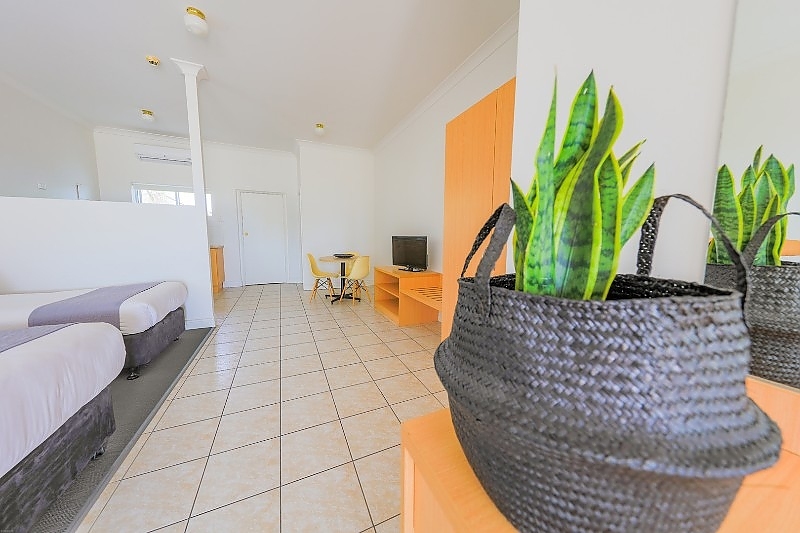 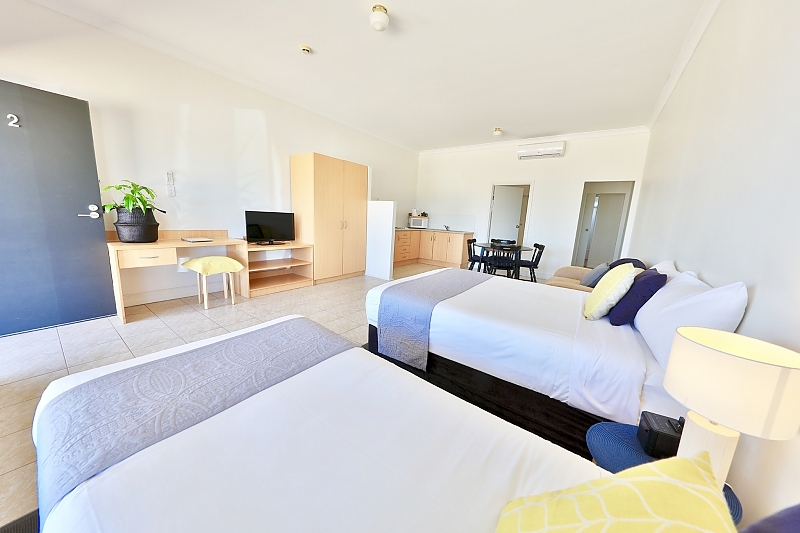 Set upon the Esplanade of Port Noarlunga South, COAST Motel and Apartments have 15 beachfront studio apartments for Corporate travelers or vacationers. 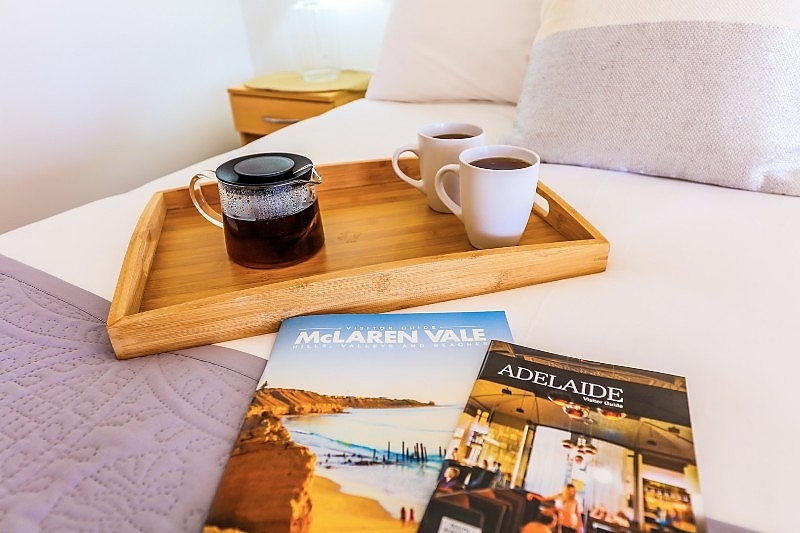 The peaceful beachfront location is only 45 minutes from the Adelaide CBD, 10 minutes from McLaren Vale and just over 5 minutes to the commercial districts of Noarlunga Centre and Lonsdale within the Onkaparinga Council. 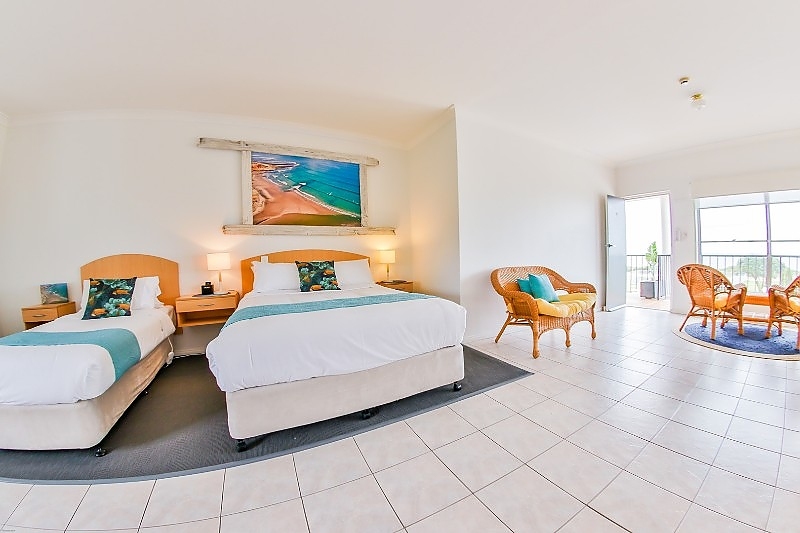 Guests get to enjoy the space and privacy of large studio apartments, partnered with hotel luxuries including house-keeping, complimentary Wi-Fi, onsite guest laundry, free onsite parking with CCT security and front Reception 7 days a week. 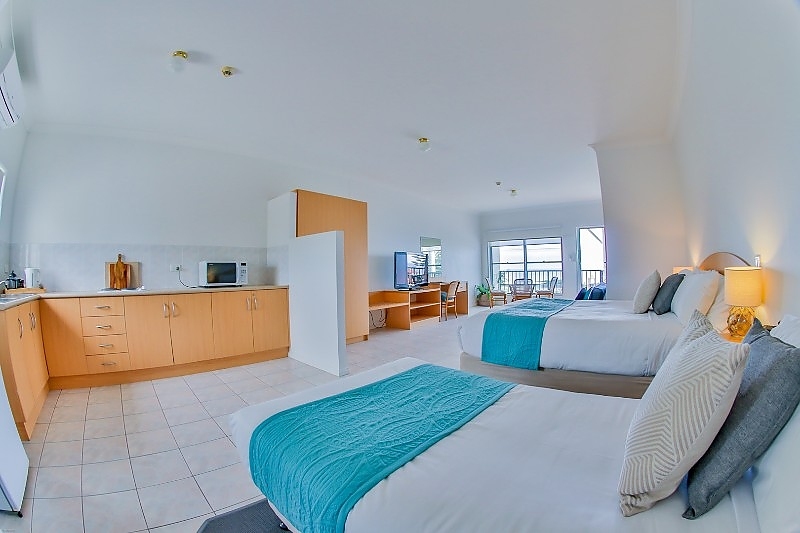 Apartments are 70 Sqm in size all boasting kitchenette with stove top and appliances, large fridge/freezer, crockery, cutlery and cookware, dining, lounge sitting area, desk, flat screen TV, wardrobe and private bathroom. 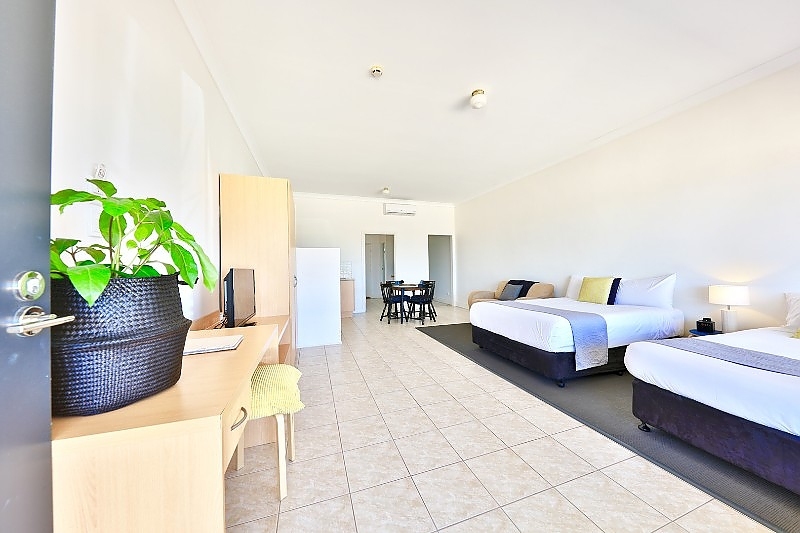 All apartments were refurbished late 2017 with new pillow top mattresses, new carpets, freshly painted and many new additions to include all the comforts of home. 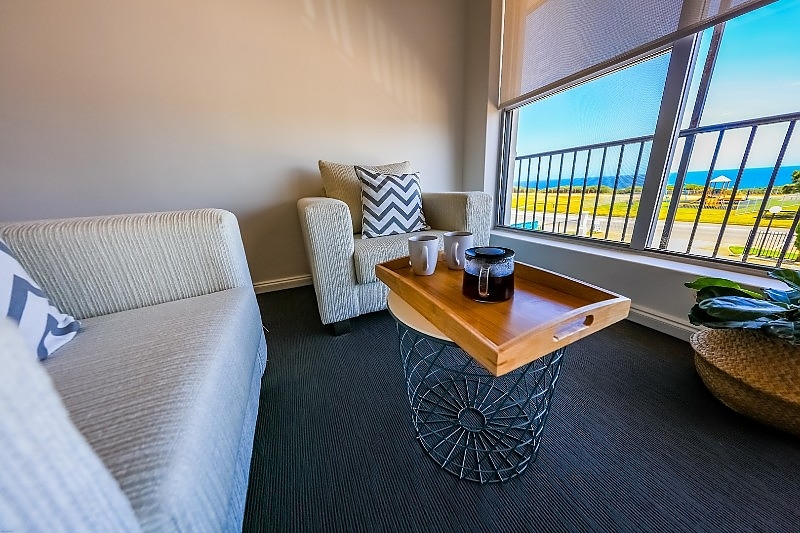 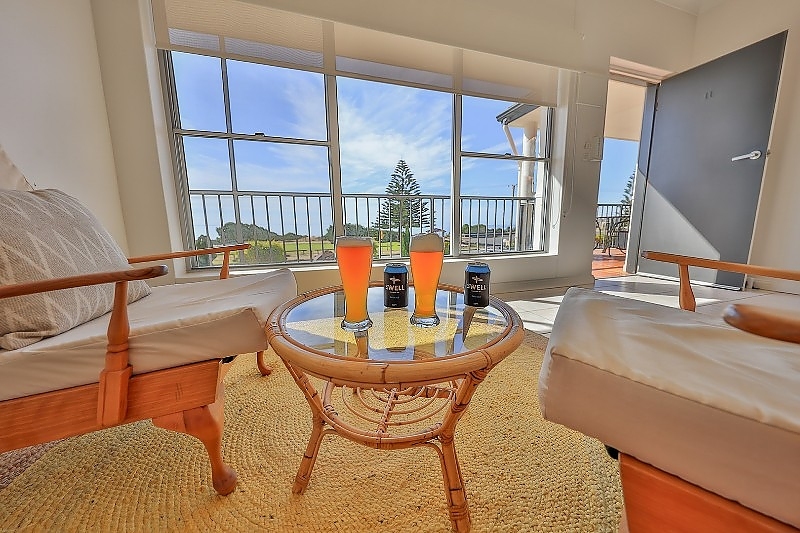 COAST Motel and Apartments have been welcoming long term Corporate residences from the region for over 24 months and look forward to welcoming you to your home away from home.